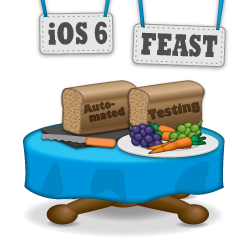 Note from Ray: This is the tenth and final iOS 6 tutorial in the iOS 6 Feast! This tutorial comes from our new book iOS 6 By Tutorials. Charlie Fulton wrote this chapter – a friend of mine and one of the newest members of the Tutorial Team. Enjoy! This is a blog post by iOS Tutorial Team member Charlie Fulton, a full time iOS developer who enjoys hunting, fishing, and hanging out with his family. Welcome back to our beginning automated testing with Xcode tutorial series! In the first part of the tutorial, you learned how to add your code to Github, set up a Jenkins continuous integration server, and how to add a unit test to your app. In this second and final part of the series, you’ll learn a lot more about unit testing, and how to automatically archive your builds and upload them to TestFlight! Now let’s add a simple unit test class for testing the WowUtils class. 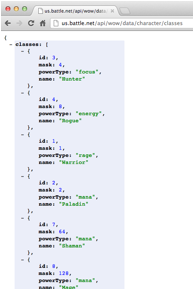 WowUtils looks up the string values for the Character class, Character race, and Item quality from the web service JSON data. It’s best to create a new unit test class for each new class you want to test. Xcode has an Objective-C test case class template just for this purpose. 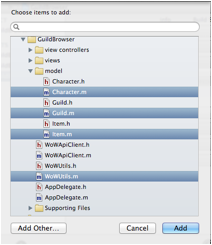 In the Xcode project navigator, right-click on the GuildBrowserLogicTests group, choose New File\Cocoa Touch\Objective-C test case class, click Next, enter WowUtilsTests for the class name, click Next again, make sure only the GuildBrowserLogicTests target is selected, and then click Create. Now you have a test suite to which you can add some test cases. Let’s create your first test case. This test case will make sure that you get the correct response when looking up a character’s class. Let’s break this down bit-by-bit. As I stated earlier, all test cases must start with the name test. 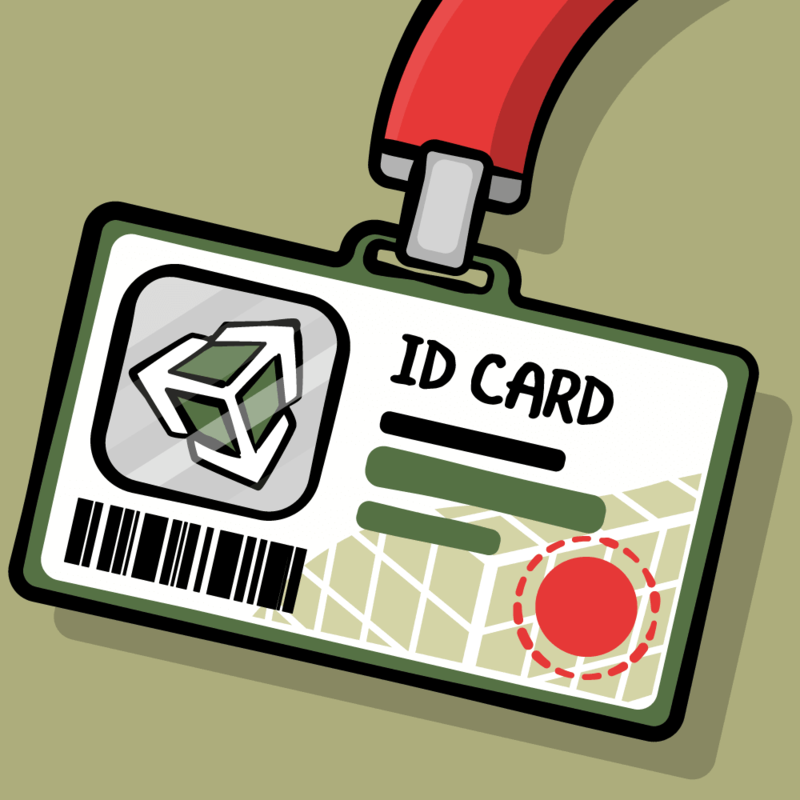 The expectation is that the WowUtils class will give you the correct class name, given an ID. The way you verify this expectation is with the STAssert* macros. Here you are using the STAssertEqualObjects macro. The expected result, “Warrior”, is compared to the result from the WowUtils method; if the test fails, you log the message “ClassType should be Warrior”. It’s always good to include a “failing test” in your test case. This is a test where the result is expected to fail. Again, you are using one of the assertion macros from the SenTestingKit – this time STAssertFalse. The expected result, “Mage”, is compared to the result from the WowUtils method; if the test fails, you use the default message, since you passed in nil in this example. Finally, you have another example test macro to use. Note: For a complete list of the testing macros, check out the Unit-Test Result Macro Reference (http://bit.ly/Tsi9ES) from the Apple Developer library. Now you can run your new test suite that presently contains one test case. Go to Product\Test (⌘-U). Since you added a new target, you need to let it know about the classes you’re trying to test. Every target has its own set of source files available to it. You need to add the source files manually, since you’re running a logic test target without the bundle and test host set. Switch to the project navigator – if it’s not open, use the View\Navigators\Show Project Navigator menu item (⌘-1). Click on the project root to bring up the Project and Targets editor in the main editor area. Select the Build Phases tab along the top of Xcode’s main editing pane. Expand the disclosure arrow in the Compile Sources section, and click on the + button. In the popup window, choose the following classes: Character.m, Guild.m, Item.m, and WowUtils.m. Then click Add. Now add the app target as a dependency so that it will get built before your test target runs. Expand the disclosure arrow in the Target Dependencies section, click the + button, choose the GuildBrowser app target and click Add. Now run Product\Test (⌘-U) and the test should succeed. You can see the output from all the tests by switching to the Log Navigator (go to View\Navigators\Show Log Navigator (⌘-7)). Make sure to commit and push your latest changes to Github. Let’s take a look at the Character class and add a test suite for it. Ideally, you would have added these tests as you were developing the class. What if you wanted to test creating your Character class from local data? How would you do that? What if you wanted to share such data with each test case? So far, you haven’t used two special methods that are available in your unit tests: setUp and tearDown. Every time you run your unit tests, each test case is invoked independently. Before each test case runs, the setUp method is called, and afterwards the tearDown method is called. This is how you can share code between each test case. When building an app that relies on data from web services, I find it very helpful to create tests using data that matches the payload from the services. Quite often in a project, you will only be working on the client side and waiting for the services from another developer. You can agree on a format and can “stub” out the data in a JSON file. For this app, I downloaded some character and guild data to create tests for the model classes so I could flesh those out before working on the networking code. First add your test data. 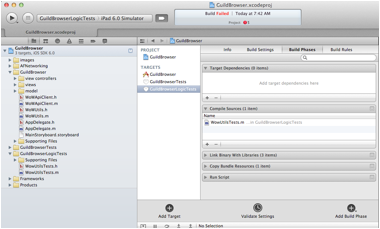 Extract this AutoTestData.zip file and drag the resulting folder into your Xcode project. Make sure that Copy items into destination group’s folder (if needed) is checked, Create groups for any added folders is selected, and that the GuildBrowserLogicTests target is checked, and then click Finish. Update 10/31/12: There were some questions on the forums about the exact command line instructions to use to set up Jenkins, so if you have any troubles check out this handy list of Jenkins shell steps text file I put together for you. Now add an Objective-C test case class for your Character test cases. 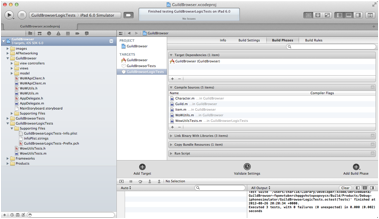 In the Xcode project navigator, right-click on the GuildBrowserLogicTests group, choose New File\Cocoa Touch\Objective-C test case class, click Next, enter CharacterTests for the class name, click Next again, make sure only the GuildBrowserLogicTests target is selected, and then click Create. Remember that test classes can have instance variables, just like any other Objective-C class. Here you create the instance variable _characterDetailJson to store your sample JSON data. Remember that setUp is called before each test case. This is useful because you only have to code up the loading once, and can manipulate this data however you wish in each test case. To correctly load the data file, remember this is running as a test bundle. You need to send self.class to the NSBundle method for finding bundled resources. Create NSData from the loaded resource. Now create the JSON data and store it in your instance variable. Remember that tearDown is called after each test case. This is a great spot to clean up. Make sure everything is loading up correctly by running Product\Test (⌘-U). OK, now you have your test class set up to load some sample data. Here you are creating test cases for the Character class designated initializer method, which takes an NSDictionary from the JSON data and sets up the properties in the class. This might seem trivial, but remember that when developing the app, it’s best to add the tests while you are incrementally developing the class. Here you are just validating that initWithCharacterDetailData does indeed return something, using another STAssert macro to make sure it’s not nil. This one is more of a negative test, verifying that you still got a Character back even though you passed in a nil NSDictionary of data. Run Product\Test (⌘-U) to make sure your tests are still passing! This tests the information shown in the main screen Character cell. This tests the information shown in the CharacterDetailViewController when you click on a Character cell from the main screen. To have a little fun, “forget on purpose” to run Product\Test (⌘-U), and commit and push your changes. You will see what your little friend Jenkins will find, when you update your Jenkins job script to include the tests. First off, make sure to commit all changes and push them to your origin/master branch on GitHub. Go to File\Source Control\Commit (⌥⌘-C), then on the following screen, enter a commit message like “added test target” and click Commit. Push the local master branch to the remote origin/master branch. Go to File\Source Control\Push and click Push. Click Save and then Build Now. So what happened? You could scour the output logs of the build that put you on Mr. Norris’s radar, or… you could set up Jenkins to give you some test results reporting! I don’t know about you, but if I’m on that radar I want to be off it FAST! You should have also received an email telling you that you broke the build. Let’s get some reporting, stat! It would be quite tedious to pour through the logs after each build, and it sure would be nice if there were a handy report you could look at to see what passed and what failed. Well, it turns out there is a script that does exactly that! Christian Hedin has written an awesome Ruby script to turn the OCUnit output into JUnit-style reports. You can find it on GitHub at https://github.com/ciryon/OCUnit2JUnit. A copy of the Ruby script is included in the resources for this chapter. Work quickly; remember whose radar you are on! Copy the ocunit2junit.rb file to somewhere that Jenkins can access it – I placed mine in /usr/local/bin. Make a note of the location, and use it below when updating the build job. The only new bit is on the final line, where the output from the build is piped through to the Ruby script for processing. Now you need to add another Post-Build Action to your job to capture these reports. At the bottom of the configure screen, click on the Add post-build action button and choose Publish JUnit test result report. Enter test-reports/*.xml in the Test report XMLs text field. Click Save and then Build Now. When the job is finished and you go to the main project area for the GuildBrowser job, you should see a Latest Test Result link. Work quickly; get on that link! Interesting! Open the file character.json to see what you have; maybe your data was wrong, but surely not your code! Note: When working with JSON, I highly recommend verifying your test data or any JSON using the awesome website jsonlint.com. Not only does it validate your JSON, but it will format it too! Hmmm, the plot thickens. Your test found “Vicious Pyrium Bracers”, the name of the wrist item, but was looking for “Girdle of the Queen’s Champion”, the name of the waist item. Now it’s looking more like a bug! Open Character.m and let’s take a look at initWithCharacterDetailData:. Can you spot the bug? OK, now commit your changes and push them to GitHub. 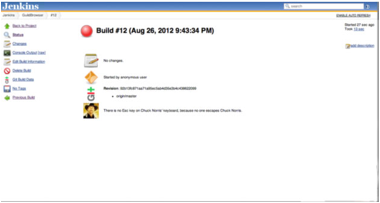 Go to the Jenkins project and click on Build Now. Test result: no failures! Chuck gives that a thumbs up – what a huge relief! Click Save. Now builds will happen if there is new code that has been pushed to the origin/master repo. Of course, you can still manually build like you’ve been doing with the Build Now button. Let’s update the build script to archive your app after successfully running the test script. Edit your Jenkins job again by, you guessed it, going to the Jenkins Dashboard\GuildBrowser job\Configure. You are now going to add another shell step, which will happen after the test script step. In the Build section, click on the Add build step dropdown and select Execute shell. If you save your changes and build again via Jenkins, you should now see the latest archive in the Xcode organizer for this project. 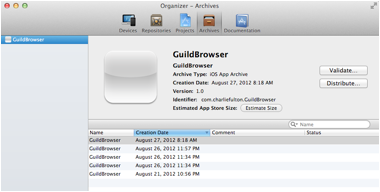 In Xcode, open Window\Organizer and switch to the Archives tab, and you should see the GuildBrowser project listed on the left. When you click on the project, you will see all of your archived builds. This is great, because now you will know that you are building and testing the same archive that will be submitted to the App Store! Note: If the archiving fails, you will not see an archive listed in the Xcode Organizer, nor will you see any immediate indication from Jenkins as to the archive failure. You would need to check the build logs to see if the archiving actually succeeded. Usually, the archive process fails because the CODE_SIGN_IDENTITY is not correctly specified, or because it doesn’t match the Bundle ID for the project. So if you run into any archival failures, those would be the items to check. One solution here would be to set the CODE_SIGN_IDENTITY to iPhone Distribution, since that will match the default distribution profile. Next you will add sending this archived build to TestFlight, and keeping track of the artifact (which is Jenkins terminology for the results of the build) in Jenkins. One of the best things about the iOS development community is the variety of awesome frameworks and services that have emerged over the past few years. Back in the day, it was quite an effort to get a beta build to your testers. You would have to get your IPA file to them by email, have them drag that to iTunes, then connect their device to sync up with iTunes just to get it on their device. You also had to send them an email asking for the UDID of their device, scribble that down or copy it up to create the new provisioning profile, then create the new build. It was a nightmare to keep track of which device belonged to what user, what iOS version they were running, etc. 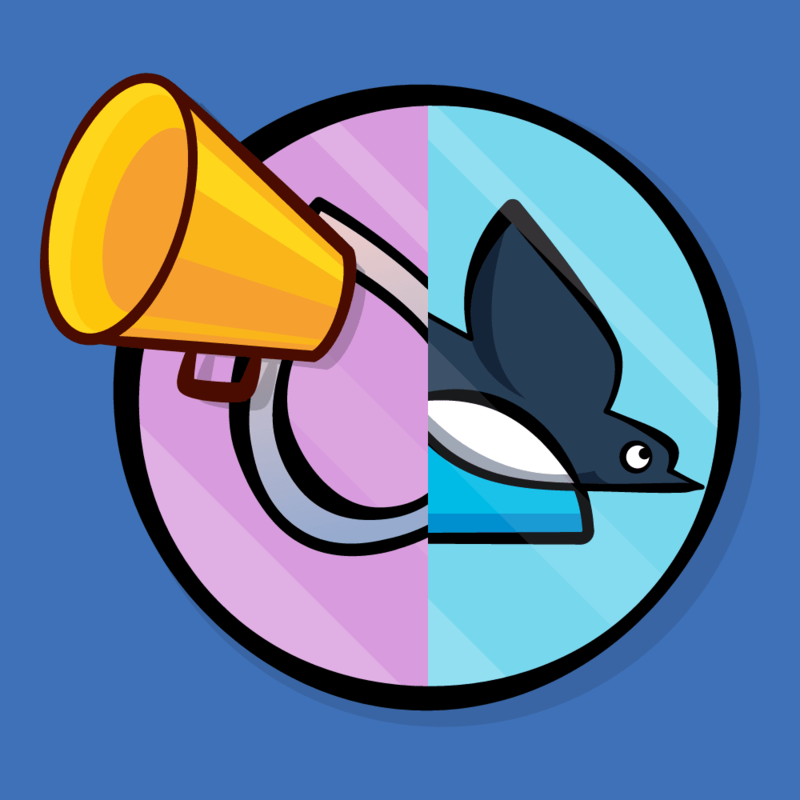 Enter TestFlight! This is a website that makes distribution and testing of beta versions of apps a breeze. ☺ Before TestFlight, the only way to distribute builds to your beta testers was via ad hoc builds. The ad hoc builds still remain, since TestFlight works within the ad hoc mechanism, but it makes distribution and management of these builds much simpler. Testflight will also allow you to set up their TestFlight SDK packaging in your app for crash log analysis, usage analysis, and more! We are going to focus on the auto upload and distribution pieces that TestFlight offers. Codesign with your distribution certificate. To make sure you’re ready, download your latest ad hoc provisioning profile from the iOS Provisioning Portal and add it to the top level of your project folder. I like to keep mine in Git, so that when new devices are added, I just check in a new provisioning profile. 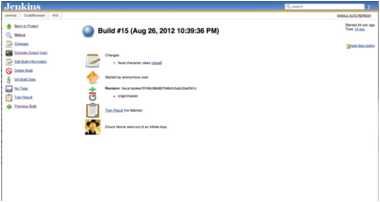 Then I can do a manual build in Jenkins and it’s ready to go. Make sure to commit and push to GitHub after adding the file, so Jenkins can see it. If you are using Xcode to commit to Git, then note that you would need to add the mobile provisioning profile to your project before Xcode sees the new file. Otherwise, you will not be able to commit it to Git. If you use the command-line Git tools or a separate Git client, this issue should not arise. There is a lot going on in this build script. You know what that means. These are the settings for what certificate and provisioning profile to use when creating your IPA file. You should change the SIGNING_IDENTITY and PROVISIONING_PROFILE to use your ad hoc distribution profile. ls –l "/Users/charlie/Library/Developer/Xcode/Archives/2012-08-27/GuildBrowser 8-27-12 10.37 AM.xcarchive/Products/Applications/GuildBrowser.app"
Here you are calling the PackageApplication script. Notice that Jenkins gives you some nice environment variables in $WORKSPACE. The $WORKSPACE variable lets you get an absolute path to the Jenkins job. You can now create artifacts in Jenkins of exactly what gets sent to your users. Compress the dSYMs from the archive. dSYMs are used to symbolicate crash logs so that you can find out which source file, method, line, etc. had an issue instead of getting memory addresses that would mean nothing to you. Before saving and building the updated script, let’s add a step to create artifacts of all successfully-created .apps and dSYMs. Go to the Post-build Actions section, and select Archive the artifacts from the Add post-build action menu. Enter *.ipa, *.dSYM.zip in the files to archive text field. If something fails at this point, it usually is because the code signing information wasn’t correct, or because the ad hoc provisioning profile isn’t in the project root folder. 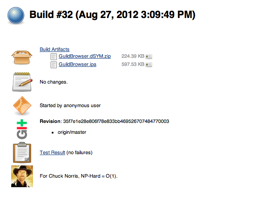 So check the build logs to see what is going on. OK, let’s send those artifacts to TestFlight and notify your users of the new build. Note: This section assumes you already have a TestFlight (testflightapp.com) account. You will need your TestFlight team and API tokens. Your team token can be found by clicking on the team info button while logged into TestFlight. Edit your Jenkins job again by going to the Jenkins Dashboard\GuildBrowser job\Configure. You will be editing the script you added in the previous step. Click Save and do another Build Now. Now when the job completes, your build should have been sent to TestFlight! And your users should have received an email telling them that a new build is available. This will allow them to install your app right from the email and begin testing for you! You should now be equipped to set up an automated building, testing, and distribution system for all of your iOS apps! First you learned how to set up a remote repo on Github, giving you a spot to share and test your code. After that, you took a look at continuous integration with Jenkins, and created a nice build script step-by-step, first building, then testing, and finally uploading your archived app to Testflight. You also looked at how to include a “bottom up” approach to unit testing your code. If you’re interested in learning more about unit testing in iOS, I highly recommend the book Test-Driven iOS Development by Graham Lee. I also encourage all of you to submit a radar to apple to make it easier to run the application unit tests from scripts, without hacks! If you have any questions or comments on this tutorial or have any questions about automated testing in general, please join the forum discussion below!